Fewer than 10 percent of working U.S. households are positioned for a financially secure retirement and more than half of Americans lack an emergency savings fund. As a result, individuals and households are increasingly vulnerable to financial setbacks that limit their economic mobility. 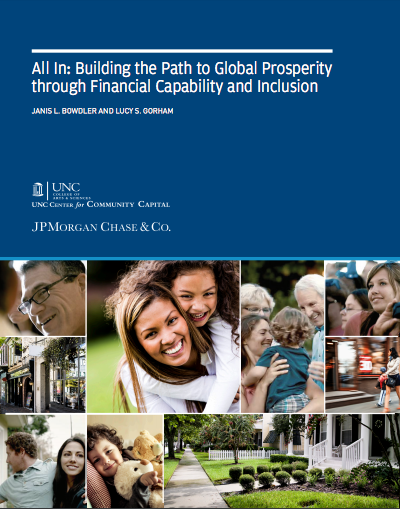 A white paper by center researchers and JPMorgan Chase & Co. examines why financial insecurity is a problem not limited to individual households, but also has consequences for employers, taxpayers and the economy. Families living paycheck to paycheck experience even greater financial insecurity when they live outside the financial mainstream. They lack opportunities to save and build credit, and thus to important building blocks to stability and economic mobility. For example, 71 percent of children born to high-saving, low-income parents move up from the bottom income quartile over a generation. However, experts estimate that fewer than 10 percent of working households are positioned for a financially secure retirement and more than half of Americans lack an emergency savings fund. As a result, individuals and households are increasingly vulnerable to financial setbacks that limit their economic mobility.